It seems that the fashion, tech and news world is buzzing today with the launch of Google’s new fashion venture Boutiques.com, and we just had to check it out too! With a unique approach to online shopping, Google has created a massive site that pulls items from well known online retailers like Net-a-Porter, Neiman Marcus, Barneys, J. Crew, Bergdorf Goodman, ShopBop and many, many others, but shows it all to you by designer, by item, by trend, or in “boutiques” curated by celebrities, bloggers and other users. You can even create your own! There are also lots of extra features that only a company like Google could create with their algorithm magic, like instantly showing you “similar items” or inspirational images of “ways to wear this item” – pretty cool I must say! There are only a few bridal sections so far (like shoes, bags and dresses) but we’ll be interested to keep our eye on Boutiques.com‘s approach to wedding fashion as it grows over time. What do you think readers? 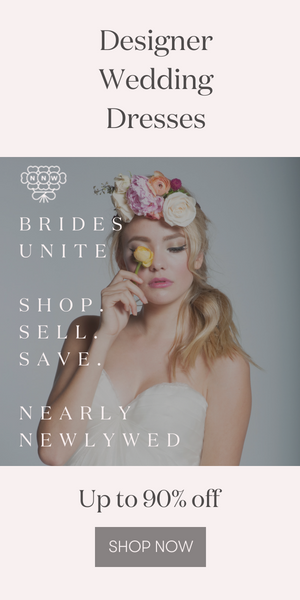 How much online shopping are you doing for your wedding day? I absolutely LOVE what Google has done–Their new fashion website tailored to your own personal style, colors and designers…genius! I am planning an eco-friendly baby shower for my sister, and, trying so hard to think of different things to do. Anyway…… I came up with a wishing well where each guest will be asked to bring one organic jar of baby food, but I don’t know how to present it in invitations or at the shower? I searched and searched the internet and could NOT find anything to help, hoping you ladies can!!!!! !